Our Seattle In-home Dog Training Programs GET RESULTS! Super Sonic Dog Training is centered on an in-home approach that is so effective it’s seen nearly three decades of success and helped hundreds of dogs throughout the country. Teaching your dog about boundaries and establishing a relationship of respect in the home lays the foundation for all other training. Our approach is special for a few major reasons. 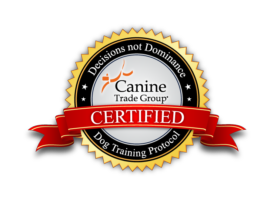 1) Our training is customized to fit the specific dog, client, lifestyle and home, 2) we use a reward-based training method, and 3) our training is commitment-based. No two dogs are the same. Each as had a different upbringing, and lives in a different environment, with different people. Each dog will encounter different obstacles for good behavior; and each will have different expectations placed on them by their owners. This is why a rigid, one-size-fits-all dog training method is doomed to failure. Our in-home training centers on carrying out a training plan that takes everything specific to you and your dog’s situation into consideration, and we work with you to create specific goals that fit your lives exclusively. Our rewards-based approach re-wires a dog’s thinking so that they seek rewards for good behaviors. We don’t punish dogs for bad behaviors, we simply don’t reward them. Punishing only creates more anxiety in a dog’s life—and anxiety, you’ll come to learn, is at the root of most behavioral problems. Our dog training is about reaching training goals. We don’t provide training through a set number of lessons. Some cases will require fewer meetings, some more. We’ll meet with you in your home, have sessions outside of the home, and provide support through both phone and email. We’re committed to you until the job is done! Call us at 800.649.7297, or email us using our contact form. Super Sonic Dog Training is for dogs of any age, breed, and temperament and is helping dogs and their people throughout the Seattle area.